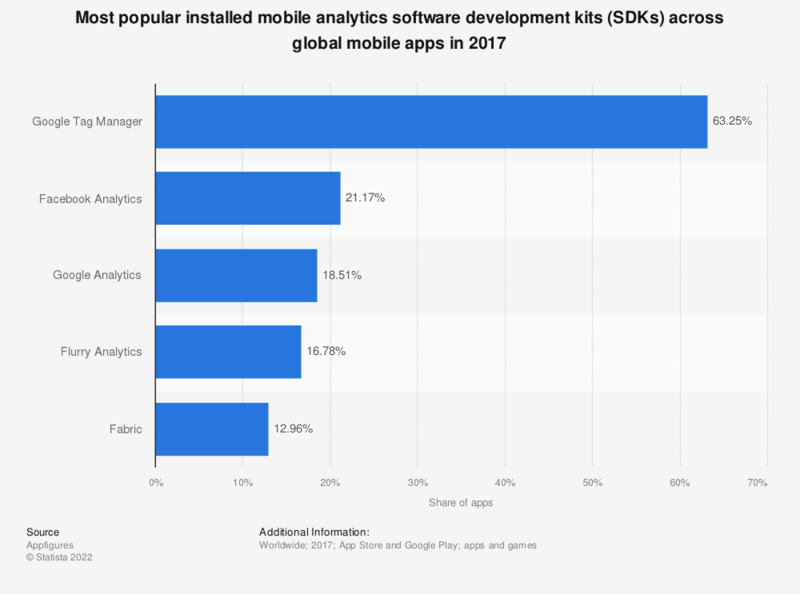 The graph shows the share of mobile apps worldwide using selected mobile analytics software development kits (SDKs) in 2017. According to the source, Google Tag Manger was the most popular mobile analytics SDK with a 63.25 percent usage reach. Facebook Analytics was ranked second with a 21.17 percent install rate. Everything On "Mobile app monetization" in One Document: Edited and Divided into Handy Chapters. Including Detailed References.